SETH’S PICKS: This week I’m eschewing our regular Staff Pick formula of choosing a single book to spotlight in favor of picking three new books that should be on your radar. 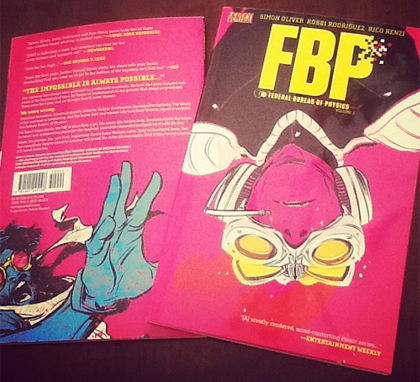 First up is the debut trade paperback of FBP. It features the interesting premise of science gone awry, which is brilliantly illustrated by Robbi Rodriguez and our own Rico Renzi. It’s also hard not to mention the work of Nathan Fox, who expertly matches the tone and style of the interior art with his always inventive covers. Even more than that, this first collection includes the title’s first seven issues for a mere $9.99! 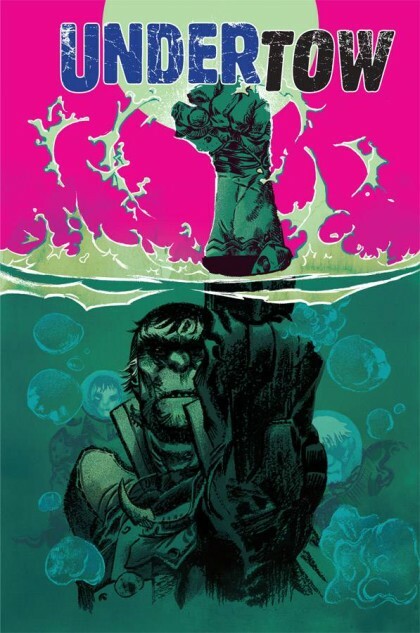 Next up is Undertow #1. Aside from being yet another new Image debut issue (speculators ahoy! ), this aquatic based series features Atlantis as a superpower, and plenty of pulpy adventure elements, which have been a regular source of comics joy for me in recent years. 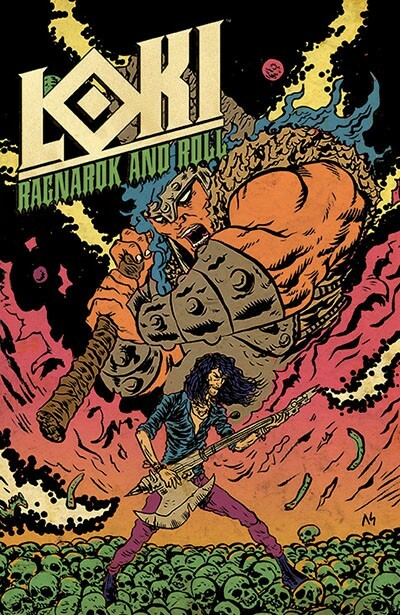 Finally, there’s the perfectly titled Loki: Ragnarok and Roll. This new series from Boom Studios offers a twist to the story of Odin banishing trickster god Loki to Earth. Rather than attempt conquest of the planet through violence and manipulation, in this series, Loki turns to the power of Rock and Roll. Cover artist Alexis Ziritt is a beast of an illustrator whose work you’re bound to be knowing more of soon. This favorite artist of the Heroes Con Drink and Draw is the perfect person to provide covers for this concept.